Project Origins: In May of 2007, Aphelion Webzine featured a cover by artist William R. Warren, Jr. The cover was submitted along with a series proposal that was published in December of that year. In April and May of 2008, a Flash Fiction challenge was run in Aphelion's forum to create possible settings and characters for the series. In February and March of 2009, another Flash Fiction Challenge was held to support this series. In the '09 Challenge, the original '08 entries were rewritten into one example piece, and entrants were tasked with creating stories set in the first exploration mission to Mars as described in that example. This series is dedicated to that mission. Project History/Timeline: Twelve souls departed for Mars in 2035 as a part of The Aphelion Project, the largest and most complicated undertaking in which man has ever taken part. Advance planning for it began as early as 2018, but saw little support from powerful nations until the so called "third-world" began to move in earnest toward a Mars mission. That was enough to knock "leading" nations out of their complacency. 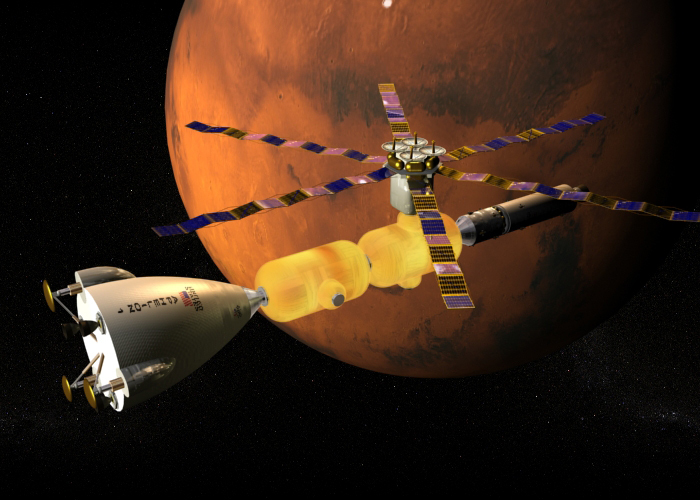 Missions organized as quickly as national rivalries would permit, until the scope of the undertaking forced the major players to work together (albeit sometimes uneasily) if they were to be the first to Mars. 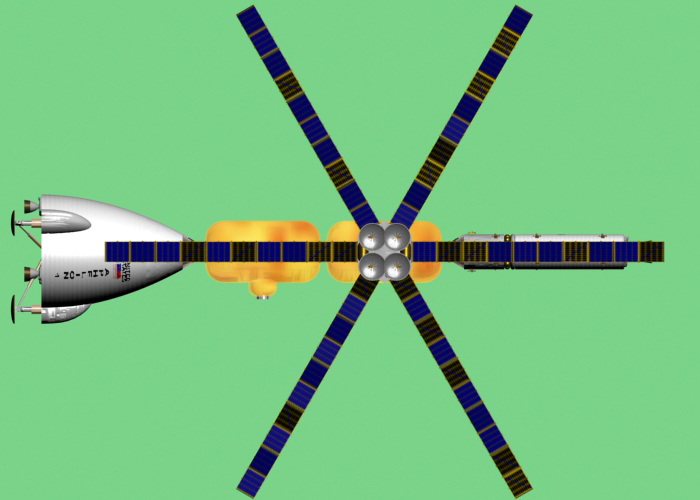 Existing space agencies pooled their duties and resources, forming one, somewhat decentralized, Mars Mission Control. The mission itself was one of the most deadly man had every conceived: Send two crews on a six-month trip all the way to inhospitable Mars through radiation storms and other perils, then keep them on the freezing, dusty surface for 18 months without re-supply or reinforcements, then finally send them back through the gauntlet of space again to return home. Survival was not guaranteed. The most rigorous, extensive search of the globe brought forth the Mars crew: a multi-national group of the finest explorers the human race could offer, but one still made of humans with human frailties, forced to live and work together in tight quarters for almost three years. Tensions and attractions were inevitable, despite their training. Both ends of the timeline are fixed: 2018-2043. You have 25 years to play in and create. Scope: This series covers the first manned mission to Mars: Everything and everyone it took to get the 12 into orbit, the journey and its hardships, what the crew did on Mars and how it affected people back home, the journey back to Earth (if they make it back), and what happened after because of their mission. Like Nightwatch, this series is set in the very near future. Technology and settings should be based on current scientific theories and plans, but this is not a strict "hard" science universe. Be as "hard" as you can without strangling your story. That being said, time travel, freak wormholes, light sabers, faster than light engines, etc. will not be allowed. This series is about these people and what they discover, or the people back home. Will they find Martians? Personally, we doubt it, but they might find evidence they existed in the past. One never knows. Ghosts do exist, but they cannot be perceived by the living. Capt. Alexander Curtis Pilot & Mission Commander. British Royal Navy. Wife and two grown sons. Loves Bonsai trees, and is a no-nonsense, spit & polish officer. (Maj.) Dr. Harry Smith "Doc" Surgeon & mechanical support. U.S. Marine Corps. 46 years old. Estranged from his wife and son. Loves food & has a matching appetite. Jokester. Lt. Chang Wei Co-Pilot & communications. Chinese People's Liberation Army. Quiet and dependable young officer, has uncanny knowledge of what is happening on the ship at any given time. Sgt. Godlumathakathi Zwelitini "Gode" Chief Engineer, electronics. South African Army. Large man, loves to laugh, and capable of improvising just about any repair or food dish. Loves popcorn. Mission Specialist Penny Jones Botanist, life support. American, NASA. Bubbly and energetic, also most likely to be affected by stress or conflict between crewmembers. Mission Specialist Archana Ivanova Geologist, surface exploration. ESA representative from Moldova. Spy for unknown eastern European or Asian government, a fact known only to Curtis. Uses her sexuality as a tool & frequently pushes Curtis' buttons. Cmdr. Peter "Mac" Macridin Pilot & Ship Commander. Canadian Navy. Has heavy accent & is married to Helga. Murdered Barnes on day 95, a fact known only to Ophelia, one that may not be revealed to any other characters in any story. Lt. Cmdr. Ophelia Dunsirn Co-Pilot, communications. U.S. Navy. Of Pakistani-African American descent, known for being quite a looker. Hurt in an explosion on Day 43 that left her face scarred and was paralyzed from the neck down until day 71. Mother of Sidney's child, which she gave up for adoption in her academy days. (Lt.) Dr. Chandra Jandrain Physician, life support. Indian Army. Quiet, but known for quoting Buddhist platitudes. Not as skilled with major injuries as Dr. Smith. Sgt. Helga Macridin Botanist, mechanical support. German Army. Married to Mac. No nonsense, but is intensely jealous of the attention Ophelia receives from the male crew. Airman 1st Class Takuya Watanabe Chief Engineer, electronics. Japanese Air Defense Force. Loves video games and hand-to-hand sparring. Setting: The settings as known are the two Aphelion ships. Back on earth, one can assume there were training facilities, mission control operations, and launch sites. There is a HAB module and a fueled, emergency return vehicle waiting for them on Mars at "Port Arthur". All other aspects and details will be added as stories are completed. Research and invent! Story Size: Stories must be under 7501 words to be considered short stories unless special permission granted. Presentation: Stories in this series will appear in two ways: first, as individual stories that are published in a regular issue of Aphelion or Forum writing challenge in the order they appeared (and also later indexed in the series section of the zine), and also as part of a continually-updated novel, available in the series section, with each story added as it would appear chronologically and edited for continuity. Art: Did we mention Bill Warren? Bill Warren is the professional artist who created the art that inspired this whole series. If so moved by your story, he just might create some wonderful illustrations for it. Submission: Story ideas should be sent to Nate Kailhofer, Editor Emeritus, at mars@aphelion-webzine.com for review. Sell him on your idea, and he'll give you the go ahead. Nate has final say on all things in the series. He will also be the intermediary who sends the stories for Bill Warren to see if he will create art as well as makes the html pages, updates the indexes, etc. Do not write a story without an ok. Collaboration Resolution: Unpaid, shared series are typically beset by delays because one person or another does not have their piece ready when it was scheduled. Writers volunteer their time and sometimes life gets in the way, or they just were not dedicated enough. This holds up another story that might have been waiting as much as a year, but could not run because it depended on something happening in the other story. This series will not run like that. Because the timeline is fixed, it does not matter when the story is written. Stories appear as they are completed, and will be coded with the correct dates for placement in the novel version. If someone completes a story that would change the plotline or setting of the later completed story, then the story submitted first wins. The later-delivered story will have to change their plotline to match, even if it was started first.